I can’t believe we’ve been open a year already! It’s flown by, I really can’t believe how quick it’s gone. 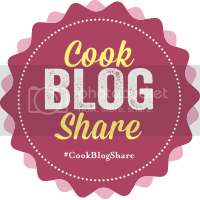 I’ve been very lucky to have connected with so many wonderful bloggers and have had the good fortune to become cyber friends with many people including Melanie from Melanie’s Food Adventures, Jo Pratt, Stephen Terry, Saira Hamilton and Theo Randall. I’ve met Stephen Terry a couple of times and hopefully Greg and I are off back to Aberaeron for the Fish Festival again this year, and I’ll let you know how it goes! Here are some of my favourite posts including a review of Stephen’s restaurant The Hardwick! The posts below are not in any particular order but are my highest ranking posts (along with a couple of my personal favourites). Greg my mother and I had an excellent time in The Hardwick and Stephen’s hospitality was exceptional, along with the quality of the food. We all really enjoyed ourselves and this has sparked other nights out with more reviews to follow. Melanie and I have been friends for about a year now and we’ve been blogging the same amount of time. We’ve got (along with a couple of others) a hidden facebook group that we share blogging tips. 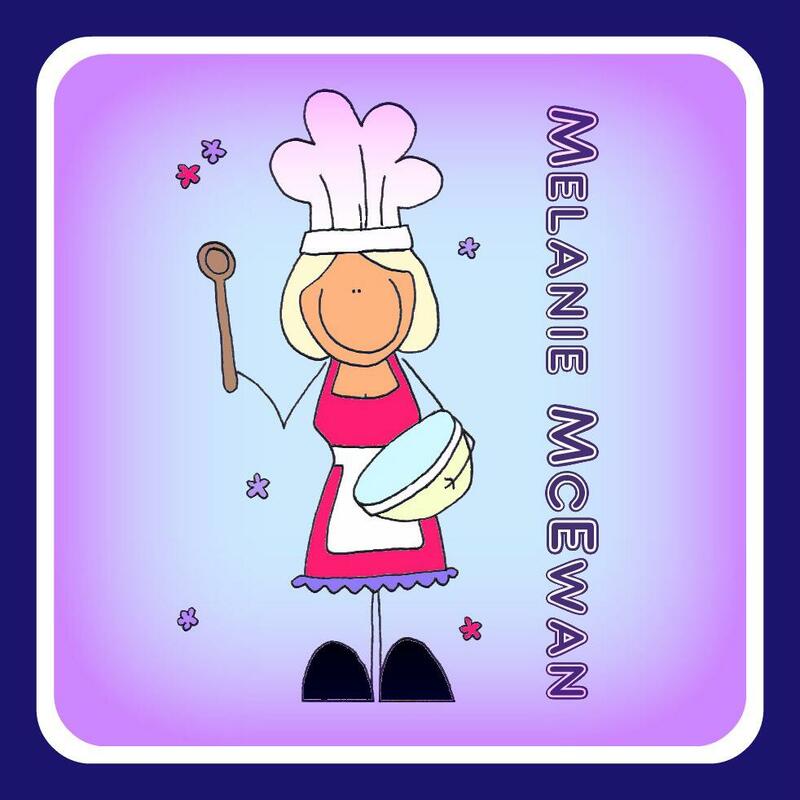 It was common sense for me to ask Melanie to guest blog on Wheelie Good Meals as we have soooo many things in common, especially as Mel’s a Fellow Man Utd fan. Check her blog out her website here. These are some of my favourite posts, some of them are top ranking posts and others are my personal favourites but they are all little gems for one reason or another. 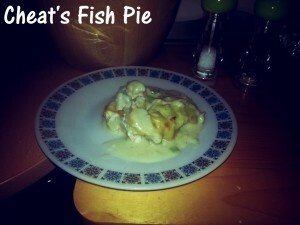 I started a feature called Comforting Classics and the most popular one was my Fish Pie! 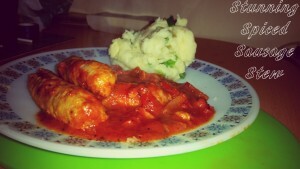 I love it, it’s such an easy recipe and so comforting and filling for all the family. I really think it’s worth a try, I cook it regularly. I changed the Ready Meal Monday feature to Time-Saving Tuesdays because I wanted to explore more options that could speed up our cooking and eating habits…. not! I couldn’t get the Ready Meal Mondays reviews done on time. 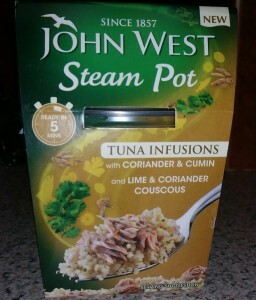 One of my personal favourites was John West Tuna Infusion Steam Pots. I liked this little pot of loveliness so much I have had it a couple of times since, give it a try – it’s worth it! 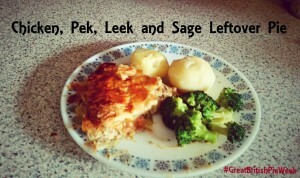 My Chicken Pek and Leek Pie was created in honour of Great Brittish Pie Week, its the recipe that made my mother realise she actually did like sage! It is also the first Pie I had made with pastry, it’s one of my personal favourite recipes and one I make regularly. Back in January this year I had a meltdown I went from Ready Meal Monday to Micro Monday before I finally fixed on Time-SavingTuesdays. 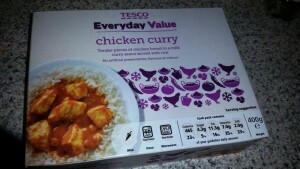 As one of the last posts in the Ready Meal Monday range I reviewed Tesco Everyday Value Chicken Curry and Rice, it wasn’t brilliant it only scored five out of ten but I’d order it again. 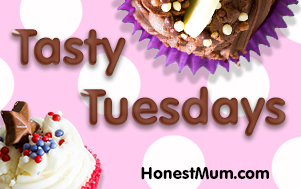 Following on from the last post came the start of Time-Saving Tuesdays and the first foray for Gemma into the World of Wheelie Good Meals. 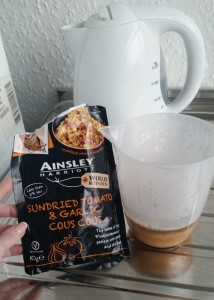 Ainsley Harriott’s Sun Dried Tomato & Garlic Cous Cous was great. We had it on its own but it would be great with salmon or a steak. Stunning Spiced Sausage Stew was a recipe I came up with the use some sausages I’d defrosted, it was amazing. 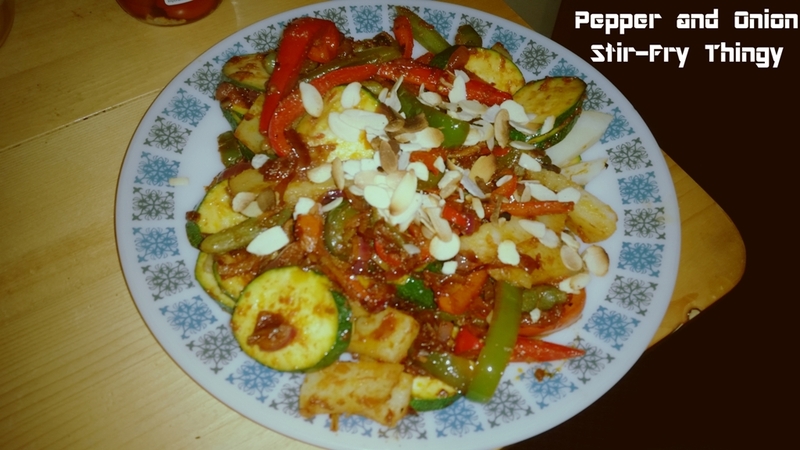 Really warming and comforting and something I’ve cooked in different variations many times. I promise you’d enjoy it, Alice can’t wait to cook this with me when she comes home from France. This is popular post because it is the first post where I actually got to criticise something. 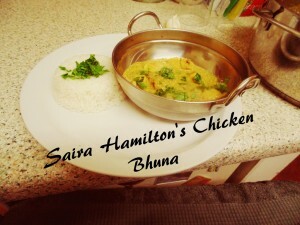 They were horrific and I really wouldn’t recommend them, but if you’d read the post you’d know that 😆 Saira Hamilton runner up on Masterchef 2013 gave me a stunning recipe which I cooked in October. Saira has been a massive help to me, with lots of things food related. I am very lucky really all my life I’ve believed that everything happens for a reason and tweeting Saira was a stroke of genius because it sparked a new friendship. Lastly another one of my cyber friends and someone who has also been a brilliant help to me, and someone who has listened to me moan via email and social networking. I was always intrigued why there was Shepherd’s Pie for Lamb and Cottage Pie for Beef but nothing for Pork Mince. 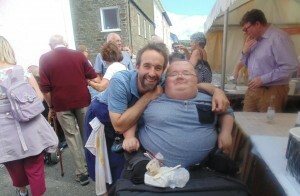 So with lots of help from Jo Pratt I created Pig Sty Pie, a recipe using Pork Mice and Cider. Jo was a great help creating this recipe and I am very greatful to her and Saira for all their help and their friendship. It’s also a personal favourite because it features the glorious art work of one of my long suffering best friends Rhian Lloyd (Rant)! 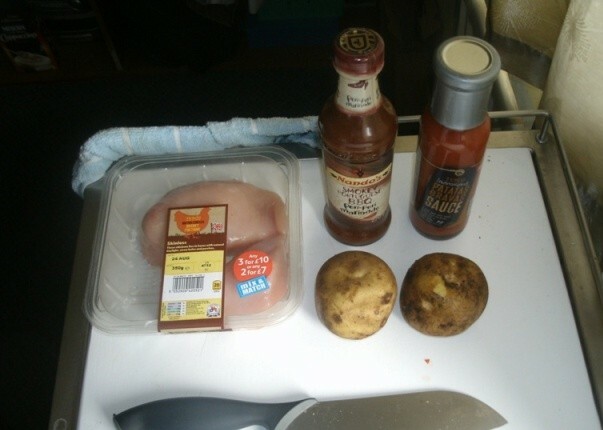 Alice’s Mid Week Piri Piri BBQ Chicken and Patatas Bravas was the first recipe that Alice and I had cooked together for Wheelie Good Meals. 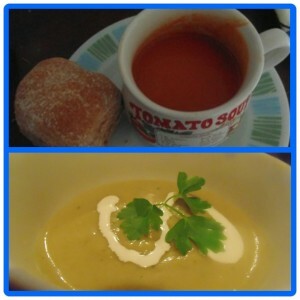 Alice and I have cooked together for mulgies of years but this was our first official recipe for the blog. Remember when cooking chicken – always take care! Lastly I looove soups and my Mediterranean Roasted Red Pepper and Tomato Soup is a bowl of loveliness, only topped by my Leek and Potato Soup. These are ideal starters for dinner parties or warming bowls of comfort. Thanks to everyone who has helped me this year, Saira, Theo, Stephen and Jo for their help and cyber friendship and for spreading the word about the blog. Thanks also to Ginge, Stacey, Gemma, Rhian, Ronnie and Ben “The Hair” Way who have been tasters, helped me cook or took photos/videos for me! Thanks to Heather and Graham for Graham’s taste testing and Heather’s proofreading and sourcing of equipment, speciality foods and ready meal/meal deals for reviews. 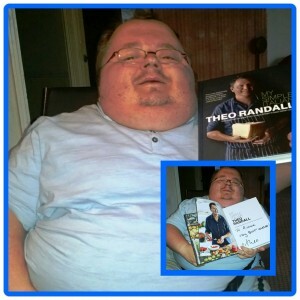 Thanks to Chris for his photography work and for help with hosting the blog and technical support. 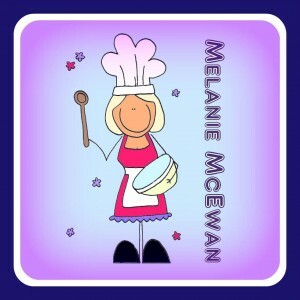 Thanks to Melanie for her friendship and support developing the blog, her Hedgehog Tray bake is my most popular post. Big thanks to Hayleigh and Dave, Dave for his fabulous art work including the logo and other images. Thanks to Hayleigh for her proofreading skills and for her ideas! Massive thanks to Greg for his photography endevours, driving skills, tasting my recipes, being both sounding board for ideas and sous chef and lastly for his company on my outings! 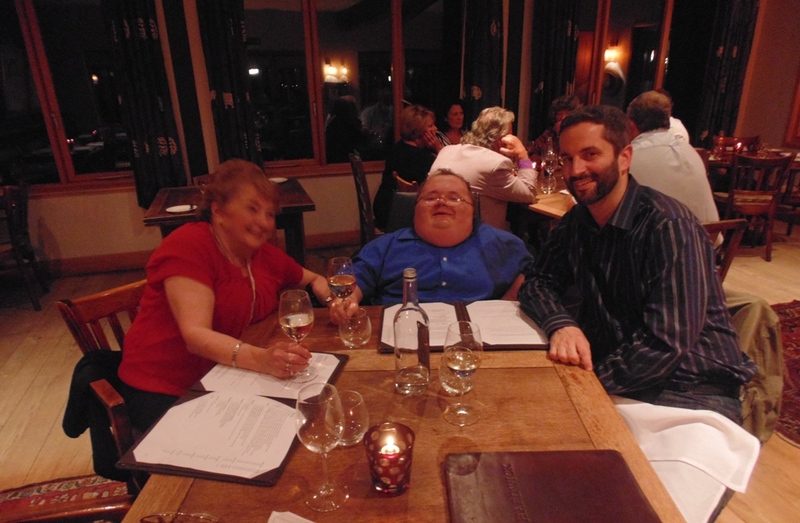 Lastly special thanks to three special people Alice for all her research, her tasting and for cooking with me…. roll on the summer when she’s back from France! The other two special people are Mags and Geoff my parents for all their help and support and always being there! I didn’t expect this to turn in to an Oscar style speech 😳 but its often the case that people do a lot for me but I can’t always do things in return, so this is just a little thank you, and I’m so sorry if I’ve left anyone out! What for next year…. lots more food, lots more reviews and lots more eating out!!! Bring it on!!! 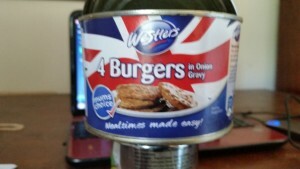 John West Tuna Infusion Steam Pots look interesting! Not seen that before. Yum! Thanks yea they were fab I’ve got another one for the end of the week 😀 Really quick and easy!